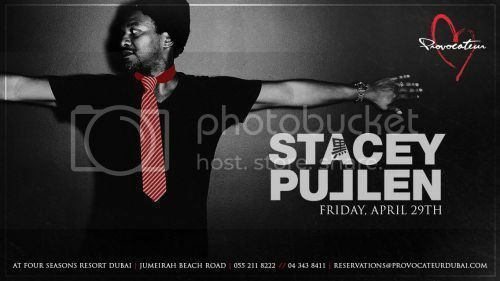 All news > Stacey pullen live! Meet our unique Overseas Female Singer. Jika is indeed charismatic artist singing in 9 different languages. Stacey Pullen is the Kosmik Messenger. An innovator from the second wave of Detroit Techno and one of the worlds most in demand DJs. He fuses his reputation as a producer with his characteristic atmosphere and laden electronic sounds. Through this time, Stacey's reputation as a DJ became as much of a draw card as his reputation as a producer, and he became renowned for long, experimental, adventurous and soulful journeys through music lasting at least 5 hours. He sees each set as a 'best of' all dance music through time – there is no one style he prefers, Stacey just plays the best of everything, with an emphasis on passion and innovation: no two sets are alike.